Recently I've been recieving a lot of questions about makeup brushes and which brushes I would suggest to someone that wants to begin their collection! Since discovering Sigma Brushes in 2011, I've grown quite a collection. I've compiled a list of the best makeup brushes that I believe every true makeup lover needs. 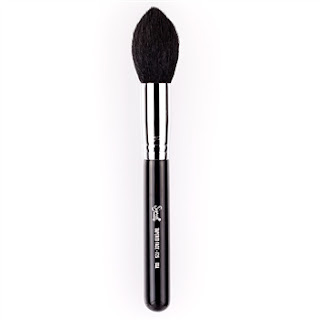 The F25 Tapered Face Brush: This is a large, versatile face brush useful for applying all over powder, or product to more specific areas such as hilight, cheek or contour colours. It's wonderfully soft and I love that unlike most powder brushes, the tapered tip allows for ease of application into every nook of your face. I rarely use an all over face powder so for me, I use this one to set my under eye concealor to prevent creasing. 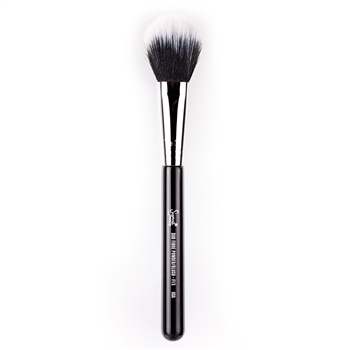 The F15 Duo Fibre Powder Blush Brush is another versatile brush that can be used with powder or creams. 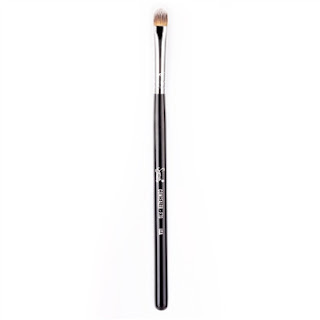 I love to apply my liquid foundation during the summer with this brush, and it gives me the most flawless, natural looking foundation with an air-brush type appearance. 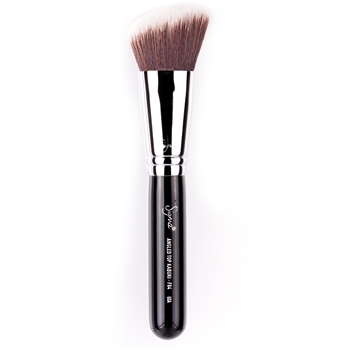 It features fibre blended bristles that delicately apply the product when you use a softer hand, and then when using firmer pressure you get a stronger application! Great for applying any type of blush also, it's very difficult to apply too much with this brush. 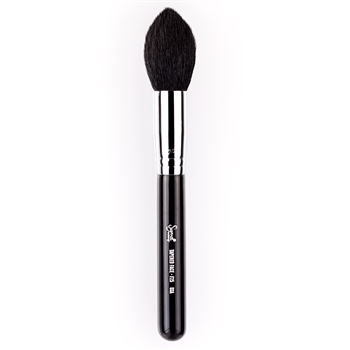 The F84 Angled Kabuki Brush is my absolute favourite foundation brush. I also have three others from the collection but if I had to choose which was my top favourite, it would the this angled one. I prefer need a full coverage with my foundations and because of the dense bristles with the F84 it applies the liquid evenly and really buffs it into my skin leaving gorgeous, natural looking, full coverage veil on my skin. It blends the foundation without streaking and does the job very quickly! Ideally you should have this one and another so you don't have to clean after every single use. The F40 Large Angled Contour Brush was one of the first I got from Sigma and has help up so well for me over the last two years. Used almost daily its help me apply and blend my powder blush or bronzer to PERFECTION. It's soft and fluffy bristles disperse colour evenly and you can build up colour intensity very well. I really need this brush. The F70 Concealor Brush is like a mini foundation brush so you can pat on concealor directly and precisely to blemishes. Can also be used to blend the edges of the applied product through I usually use my fingers or a different brush for that. A staple for every makeup brush kit. The E75 Angled Brow Brush is the most precise, delightful brush for applying brow powder to form my beloved arches to their desired shape. I will never use anything else now I've got this. You can use the bristles vertically to fill in a solid colour to the 'head' of the brow, then flip it horizontally to get crisp lines at the tail and edges of your brow. Don't know how I lived without this! 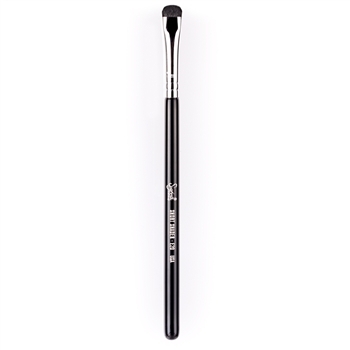 The L05 Lip brush is for applying lipstick or lip product. 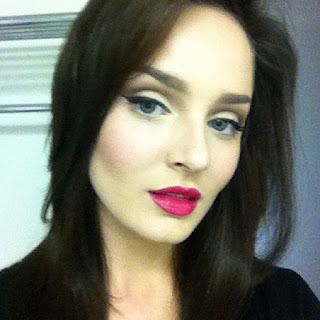 I NEVER apply a colourful lipstick without a brush. Straight from the tube will look too messy! Use this to 'line' the lips with the lippy then you can fill in the rest of your lips from the tube if you prefer. 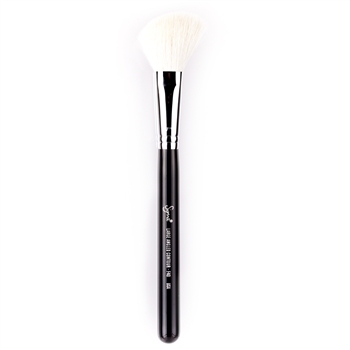 This brush has lovely precise bristles and has a removable cap so you can pop it in your handbag for reapplying throughout the day without fear you will ruin the interior of your handbag! 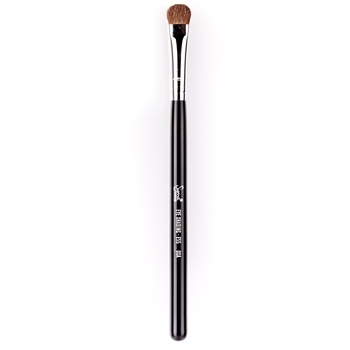 The E55 Eye Shading Brush is a staple for applying eye shadow to the lid. 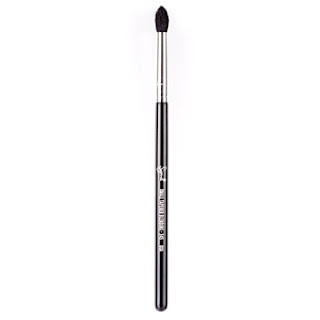 It's the perfect size for all eyelids and has lovely soft, flexible bristles. This E20 Short Shader Brush is has short and dense soft bristles so it applies shadow well along the lash lines. Packs on strong colour precisely which is good for smokey looks! Its good to have one smaller shadow brush such as this and one other, larger shadow brush. This E60 Large Shader brush is optional BUT I use this most out of my shading brushes because its made of firmer bristles that can pack on colour more densely! This is the E15 Flat Definer brush, it's for applying eyeshadow precisely and in crisp lines. I use this a LOT! It's a very useful brush when doing cut crease looks, for creating a perfect 'outer-v', or for applying shadow directly to the lash line as liner! 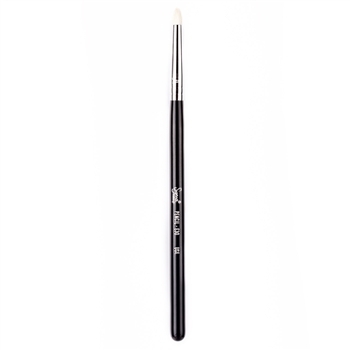 You NEED this E30 Pencil Brush to apply colour to the crease and to blend. I use this in probably every single tutorial... 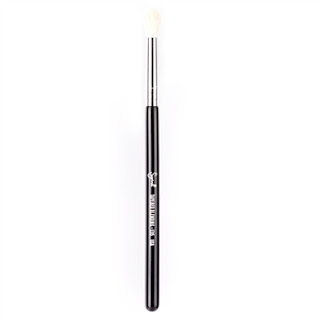 Perfect when used with a light to go into the crease, then press a little harder and it blends the same shadow out. Very useful brush everyone should own! 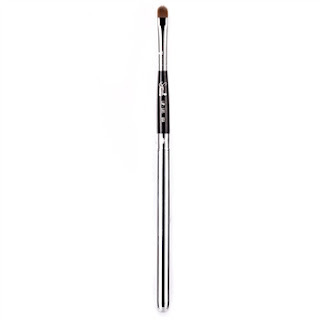 The E45 Small Tapered Blending Brush is another excellent brush, it was my first sigma blending brush; it features a tapered tip so it blends more precisely, but is also useful to apply eye shadow. You should ideally have multiple blending brushes, if you dont blend, your eyeshadow will look messy and unprofessional. Some looks do call for crisp lines but most eye makeups require blending . This one is great to sweep colour over lid (maybe a shimmery colour to create a beautiful sheen on the lid) and to blend cream products too! Blending Brushes are versatile and you really do need more than one blending brush. This is the E35 Tapered Blending Brush. I like this one because it’s fluffy and has a large ‘face’ so blends over a larger surface area. It's not really tapered as the name suggests however, it's more of a round bristled brush. Really good! 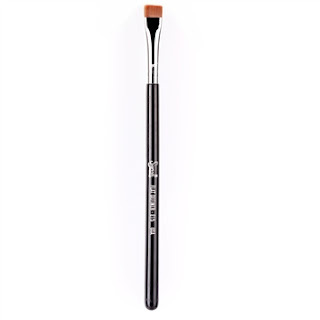 The E65 Small Angle Brush is for applying gel or cream liners and even for applying shadow precisely! This is a necessity. And that would conclude my brush kit! I own a lot more brushes, but these are what I would need to do any makeup! Hope this was helpful you guys! *I used my affiliate links in this post! This means that if you buy any of these brushes using the links I provided I make 10% of your purchase. It really helps me out. FYI I paid for all my own sigma brushes and I really think they are some of the best out there. Oh this is great hun! I love your blog! Id love you to check out mine if you get a chance! Oh Chloe!! I just spent $200 on Sigma brushes before I saw this post!! :( How annoying I missed out on the 10% off! Luckily I got most if the above brushes!! Great post. I need that E75 brow brush. I now use the same Cala brow brush you used before LOL. But it needs to be replaced. Loved this!!! Watch your channel OFTEN ;-) I have just started a new beauty blog at www.50shadesoffabulous.blogspot.ca Would love your opinion. Saw this link on the makeup page on facebook, Glad I opened it! very helpful! It is just what I best essay writing service was looking for and quite thorough as well. Thanks for posting this, I saw a couple other similar posts but yours was the best so far. The ideas are strongly pointed out and clearly emphasized. Superb Blog with extraordinary information regarding new style of makeup brush set.